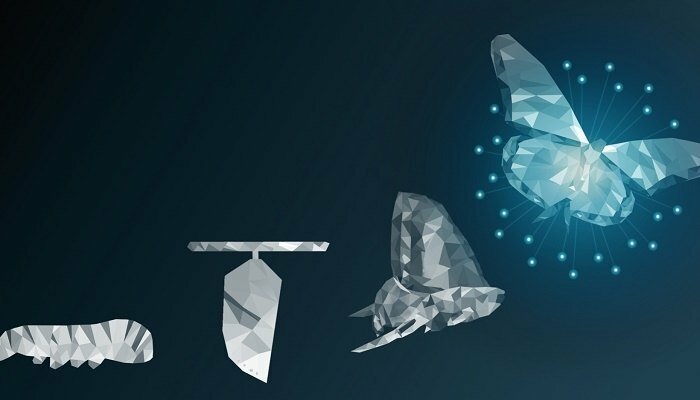 eLearning and the expanding potential of the web are creating new opportunities for change but, in reality, the change is similar to the biological metamorphosis that happens when a larva or caterpillar changes into something completely different by design. "A biological process by which an animal physically develops after birth or hatching, involving a conspicuous and relatively abrupt change in the animal's body structure through cell growth and differentiation." "Is our organization making use of what the ever-developing worldwide web is making available to us for the purpose of re-designing our learning cultures so that they are less about rote training and more about actual learning that is in sync with 21st-century realities? Are our organizations undergoing a digital metamorphosis?" In order to begin to answer the question posed above, we need to get to the heart of how training is seen as a business priority within today's organizations. It would seem that business organizations are sending mixed messages in 2018 concerning how high a priority training is in their particular business culture. People managers overwhelmingly prioritize Learning and Development for employee growth. 96% said that a culture of learning is important to the business. 76% have a training and development budget. 73% offer support to employees studying part-time. Leadership and management are the highest development priority. According to Christian, across industries and company sizes, developing leaders is the highest priority for L&D professionals in 2018. Large companies appear hesitant to reinvest revenue increases into L&D. Although they spend above the survey average on training per employee, professionals from large organizations were less likely than their SME counterparts to predict a budget increase for their department. Proving the business impact of training is key. L&D professionals who track ROI of training are more likely to have increased resources, higher satisfaction with how their department performs and of course, executive buy-in. Coaching is correlated with revenue growth. External and internal coaching as the primary forms of workplace learning for senior members of staff is common practice at companies which reported increased revenue in the last financial year. The key to engaged staff is executive buy-in and technology. A staff highly-engaged in workplace learning is correlated with the use of learning technologies and a close working relationship with L&D and executives. 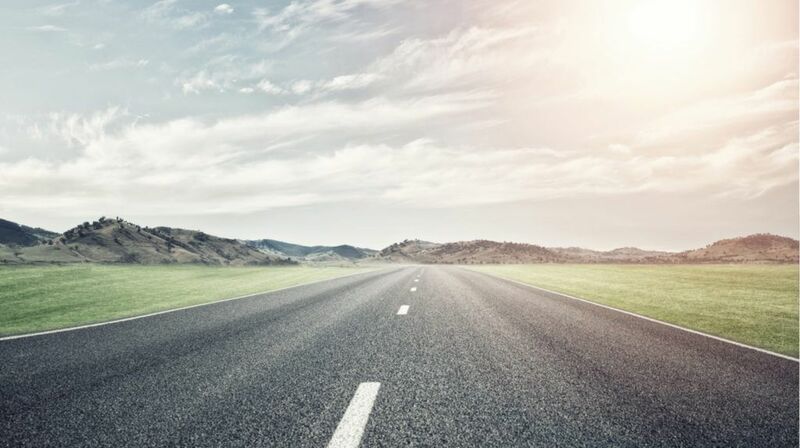 Looking at the banking industry, a DBR report published in December of 2017 asked executives for the top 3 strategic priorities for 2018, only 28% of those surveyed chose "recruit or re-train talent to meet changing needs". So, the question to ask is why are the waters so muddy when it comes to the priority of learning within business organizations? To answer that, we come back to the idea of a metamorphosis. The simple truth is that some business organizations are still encased in a cocoon. These organizations are the same ones who repeat the business mantra: "We will do things the way we have always done things; stay the course!" They are, in fact, denying that change, technologically and pedagogically, will have any effect on their business growth in the future. What Needs To Happen In Order To Foster A Metamorphosis? We live in a world that has been drastically changed as a result of the exponential advancement of technology and knowledge. This change is not a static event but will continue to grow and intensify and will have an impact on every level of living in the 21st century. This means that the key survival skill in this age is to be constantly learning new skill sets and new attitudes to experiencing new ideas and innovations. The training culture is becoming more and more anachronistic in the 21st-century workplace. Engagement of employees in learning that benefits the health of an organization means those decision makers such as the CEO, CLO, CFO, and managers have to understand what engages their employees to learn new things in their day-to-day lives outside their work day. According to statistics, 70% of employee learning takes place informally while only 10% is given to formal training which amounts to about 1%. Performance is the lifeblood of business organizations. A KPI is a measurable value that shows how well a business organization is meeting business objectives. Tracking specific business goals and targets makes the assumption that the goals and targets are up to date. However, due to change brought on by advancing technology and its impact on the competitiveness of a business organization, the refining and updating of business goals and targets needs to be a dynamic process that is geared to a knowledge economy because in a globally connected and networked business world, Big Data and on-time knowledge are the new currencies that are traded. In order to move forward, business leaders have to know how to ask the right questions and have access to the right data. This is where new advancements such as "blockchain technology" enters the picture as an example of where this greater access to data is going. More and more business networks will be global digital networks requiring completely new skill sets that the regular training regimens of the past will not be able to meet in formats that are decades old. Tools such as Big Data and predictive analytics are transforming the importance of KPIs to become reflections of what I would term as "KHPIs" or "Key High-Performance Indicators". This should not be cause for alarm for business organizations or unreasonable fear of the current business doppelganger called "disruptive change". We do need to understand that in an age of learning and exponential increase in knowledge, the access to huge databases that can either propel a business organization ahead, competitively speaking or reduce it to an obscure niche player requires new skillsets that help us shift into high gear. This means that all employees from the lowest level to the executive level must be geared to continual engagement and learning in order to meet KHPI developed through a vision and mission for the business organization that is in sync with the realities of doing business in a globally connected network business world where business intelligence travels at the speed of light. Reducing employee learning to strictly compliance training, which is a necessity, will be very counter-productive and will not produce the level of employee engagement that a business organization will need to maintain its future health. This type of dated training/learning format cannot and will not fit the framework for high-performance organizations. In the metamorphosis from a training culture to a modern learning culture, the emphasis must be on the human element. The roles of trainers and SMEs must change to fit a new environment and culture of learning. New patterns of interaction between employees and former trainers, Instructional Designers, SMEs, decision making leadership and all the fore mentioned groups mentioned will come to create a vibrant learning community that will become part of the natural way of thinking and making decisions within the business organization as it capitalizes upon its greatest assets, that being its thinking, and its innovative and creative employees. The pattern becomes one of symbiotic beauty where people aspire to the mutual benefit of each other in striving to meet KHPI for the organization. "What will this completed metamorphosis look like when it transforms our organization?" This will be the focus of Part 2 of this article.